Nikki & Rich's VAM5 & Eccles Trailer . 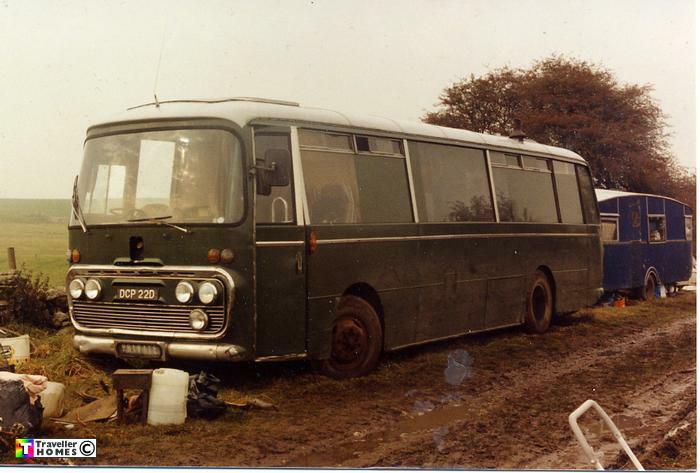 DCP22D (1966) Bedford VAM 5 . Plaxton Panorama II C45F. Ex-Sheard . Halifax . Seen ? . Nikki & Rich bought this off Woody in 1988 and sold it to a couple from Hulme . Clarky & Nikki . Photo = Nikki .